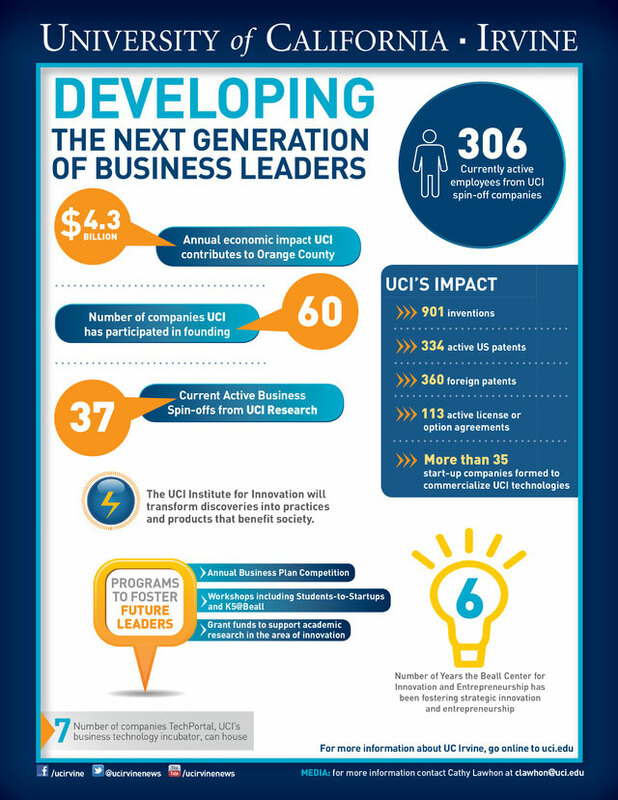 On Feb. 25, 2014, UCI announced the creation of the Institute for Innovation (now known as Applied Innovation), an interdisciplinary and campuswide center focused on integrating research, entrepreneurship and technology to develop real-world applications that benefit the public and drive the economy. A $5 million endowment was provided by the Beall Family Foundation. Read more here.